I’ve been doing some looking at these the last few days too. Looks like Allflex and nj phillips are the two brands most like. The less expensive ideal brand seems to only last a working or two. Might be one of those deals were you get what you pay for. Hard to pay $75 for one when the other brand is $25 though. They were about $120 apiece when I bought mine. Their accuracy in metering out vaccine is incredible. We like the allflex , ours are adjustable to 5cc, one with the bottle holder, and one barrel type, I would definitely reccomend the bottle holder type for those of us who have arthritic symptoms. Money well spent imo. Allflex here. I have one 50cc and one of the bottle holder 5cc. I like both. Just be sure to put some lube on the orings after you sanitize them after use. (or buy lots of replacements to have on hand). Repeaters are lifesavers for me. 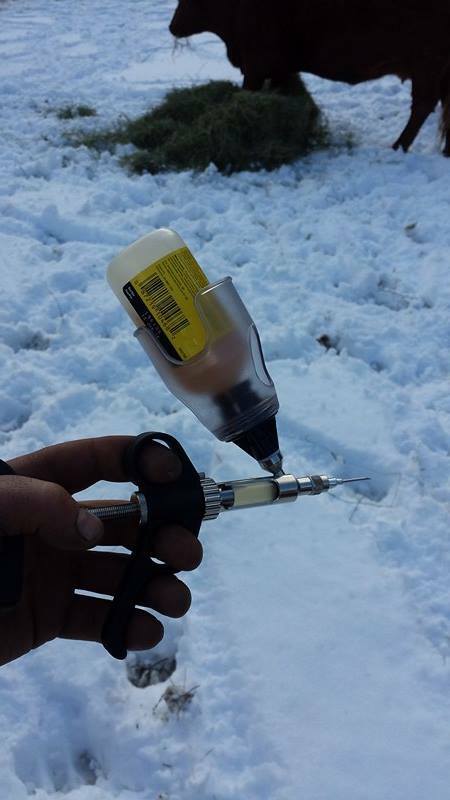 My farm help is whatever family members happen to be around, and it's much easier to say, "inject here, and just squeeze until it stops" rather than, "see this 3 line? don't go past it! ".